In 2017, 16 Community Action Agencies in Michigan raised a total of $410,796 through Walk for Warmth events. This money will go toward paying the heating bills of vulnerable people in the local community. Living without heat is a dangerous reality for many Michigan residents facing utility shut-offs. Choosing between paying the heat bill and buying groceries is a choice no one should have to make. Every winter, many of our member agencies hold Walk for Warmth walk-a-thon events to raise funds for emergency utility assistance in counties across Michigan. These events enjoy support from businesses and Michiganders who are passionate about keeping our neighbors warm during our tough Michigan winters. 100 percent of the proceeds from Walk for Warmth events go directly to helping those in-need. Consumers Energy is just one of Walk for Warmth's many important sponsors. See the 2018-2019 dates and locations. Dates and locations for the 2019 events will continue to be announced through the fall and winter. 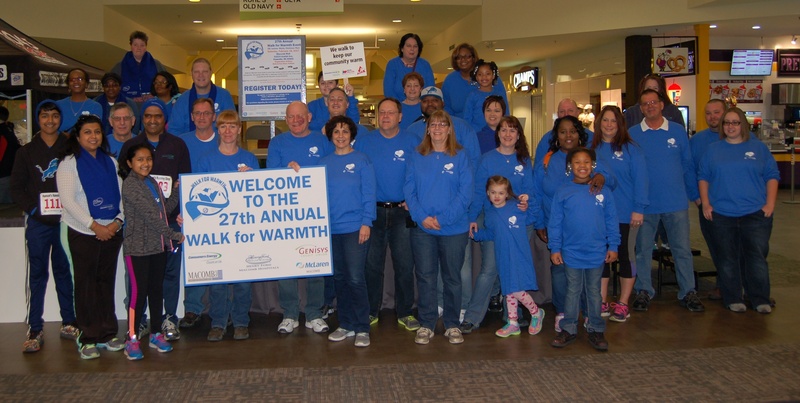 Contact your local agency to support Walk for Warmth!